In past generations, she was often labeled planet Earth's favorite taxi. (Or have you always preferred the Ford Crown Victoria with the shiny black leatherette?) The Mercedes-Benz E-Class, however, has long since graduated to become a premium middle-management darling in all corners of the globe. Still, even Mercedes-Benz North America would have to admit that a mid-life and/or new model year E-Class is not generally a traffic-stopping event. This time around, however, there's more going on with Mercedes' ninth-generation contender than, say, adding a new Pipe Smoker's Package or overhead cold beverage storage-TRONIC. 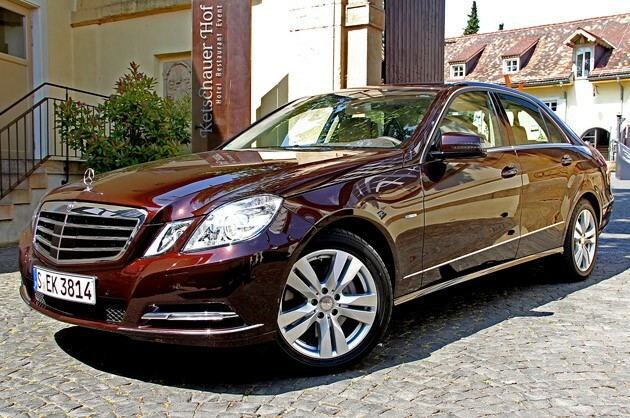 And while it may still not cause a road block, this mid-shelf-life version of the W212 E-Class should, at least, make everyone slow down to rubberneck a bit, because the new V6 and V8 E-Class wants to take you farther on a full tank while making more power and torque to exercise your executive privileges. When the freshened E350 shows up this September with its M276 3.5-liter V6, it's expected to remain the lion of the line, with 80 percent of North American E-Class sales. 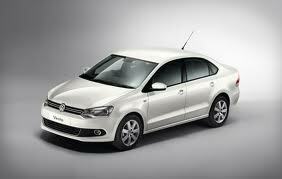 It will continue to come in all three main bodystyles – sedan, coupe and convertible. All individual options and packages will be available for these three core Es. The E350 4Matic wagon will also remain, but it won't be alone – it'll be joined by the rear-drive E63 AMG Wagon with the latest M157 518-horsepower 5.5-liter bi-turbo V8 (550-hp with AMG Performance Package) to duke it out with the supercharged 556-hp Cadillac CTS-V Wagon. (*cue the singing angels*). 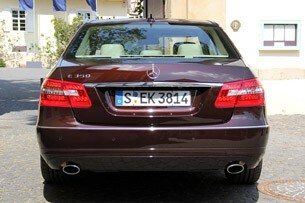 There will naturally also be an E63 AMG sedan coming over with the new engine underhood. 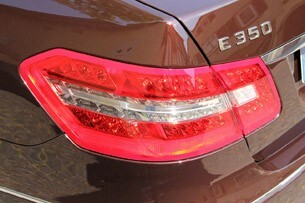 In the meantime, all E550 V8 units sold in the U.S. will be sold only as 4Matics with Sport Styling included. 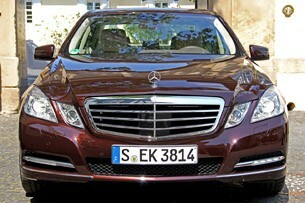 That means no rear-wheel-drive E550s and no Luxury Styling pack for the V8, either. 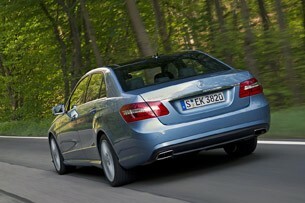 And let's not forget the E350 BlueTEC rear-wheel-drive-only sedan with its 3.0-liter turbodiesel V6. This one stays as is while adopting any tweaks inside and out. We've just returned from Germany after driving some early examples of the E350 rear-wheel-drive sedan with Luxury styling, along with an E550 that was fully optioned with everything Sport and Premium thrown in. There were no Sport 4Matic V8s courtesy of Austria's Magna Steyr available in the Euro-spec fleet for this test, so we made do with the 154-pound-lighter (and theoretically $2,500 cheaper) rear-driver. 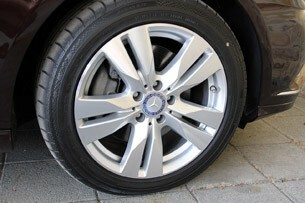 Folks in the Sunbelt states ought to be grumpy that we are no longer meant to get this latter trim – the car is a blast. While North America finally gets a proper Gas Direct Injection version of the V6, which certainly accounts for most of the improvement in fuel consumption, North America's sometimes higher sulfur content fuel has forced Mercedes to lose the stratified "lean burn" phase of the DI combustion cycle due to downstream catalyst and filter issues. The net-net is slightly less stellar mpg and C02 results versus the engine's European counterpart. Nevertheless, the projected fuel economy improvements over the outgoing port-injected North American V6 are still around 20 percent, which means jumping from city/highway miles per gallon figures of 17/24 to roughly 20/28 – very impressive. It's impressive primarily because the 2012 E350 is now rated at 302 horsepower at 6,500 rpm and 273 pound-feet of torque between 3,200 and 5,250 rpm – that's a 34-hp jump and a 15-lb ft leap in the midst of the much improved fuel economy and CO2 emitting. Other than the intro of direct injection to our 3.5-liter naturally aspirated V6, overall friction losses between the mechanical moving parts of the engine have been reduced some 28 percent, a move that permits the use of lower viscosity fluids. There's less stress. Mercedes' 7G-Tronic seven-speed automatic transmission meanwhile takes on the Plus moniker. What is now so "plus" with this gearbox is a new torque converter lock-up clutch with less slip, a change that translates to quicker responses, but without any nasty after-effects like added vibration. In fact, the smoothness of the modified 7G design and the reprogrammed ECU software have allowed engineers in Stuttgart to lower engine revs during the most economical running times. So, what the driver gets out of all this tech is an even quieter, smoother E-Class V6 experience, yet at the same time, a greater sense of responsiveness from the sometimes casual 7G-Tronic in the outgoing model. Whereas the current E350 rear-drive model has been generally quoted as having a 0-60 time of 6.5 seconds, we were able to feel the projected 5.9-second claim of the newly treated engine throughout the drive. It would have been a bit better, certainly, with the wider, 18-inch wheels of the full Sport trim, but at least we had the Sport version of the Airmatic suspension. The ride and noise isolation are sheer Mercedes, while the steering and handling we experienced on some nice curvy roads remain very pleasing stuff. We're still not in love with the $660 Drive Dynamic multi-contour seat option, however. When we accidentally left the auto-adjusting chairs in their most dynamic mode, we found that they still react to the slightest rights onto exit ramps as if they'd been fitted to a Porsche GT2 RS hurtling around the Carousel at the Nürburgring. It's like getting groped heavily at happy hour. Seats aside, we liked the upgrades to the E350 so much that we cavalierly started to think a silly ol' ozone-snuffing V8 was just not necessary. 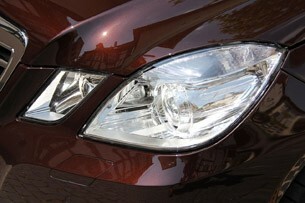 Then we had our obligatory turn in the E550 Sport (dubbed E500 Avantguard in Europe). What the hell, we thought. Sweet mother of all that is holy, this 402-hp M278 twin-turbo 4.6-liter is a barrel of well-engineered monkeys. This new direct-injected V8, first tried on U.S. roads in the CL550, replaces the naturally aspirated 382-hp 5.5-liter still being sold as you read this. Those 20 additional horses might not knock your hat in a creek, but the 52 additional lb-ft of torque (443 lb-ft @ 1,600-4,750 rpm) should. Acceleration to 60 mph now ought to take just 5.0 seconds, and we wouldn't be surprised if someone sneaks into the highest fours. This thing was a bulldog with supreme throttle response in Sport or Manual mode of the 7G-Tronic. With the full Sport setup, it almost has us thinking that the revised E63 AMG might be unnecessary, but we've made that foolish mistake before, of course. To our ears, the sound from the twin exhaust ends is correctly tuned to that not-quite-AMG gray area. But, again, as with the E350, it's the throttle-play that is so satisfying – especially when combined with the more complete Sport package that includes a firmer suspension, lighter weight AMG 18-inch alloys, and the more heavily weighted feel through the AMG steering wheel. While overtaking slower traffic with the freshened E350 motor might be improved, doing the same with the twin-turbo V8 is giddy child's play. Yet at the same time, Benz says that fuel economy and C02 emissions have been improved by an average of 17 percent over the outgoing V8. That means from the current model's city/highway rating of 15/23 mpg, we could be headed to 18/27 mpg once the EPA makes an announcement. 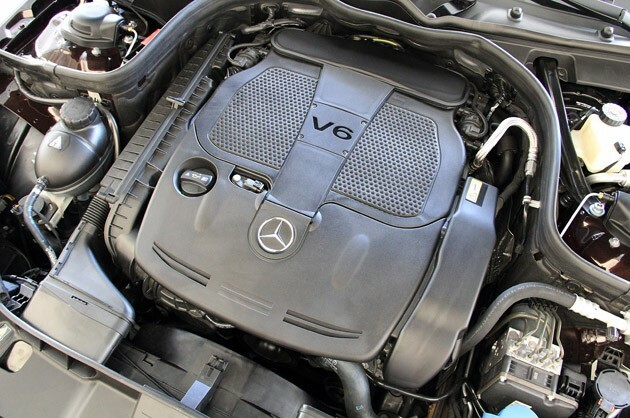 And, unlike the need to change the GDI scheme for North America on the E350, things remain identical on the E550's engine regardless of whether it's a European or U.S. car. 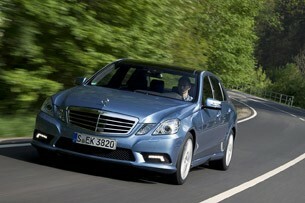 Of course, there will still be other small changes before the new E-Class crosses the ocean. Our cars still won't adopt an ECO Start/Stop function – that feature will only appear on AMG models for now. 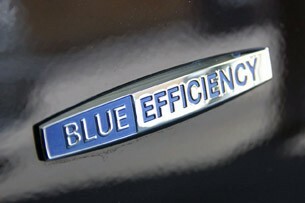 We also won't get the little "BlueEFFICIENCY" tags on our front quarter panels, nor do we refer to our gas engines as BlueDIRECT. (This all-caps rigmarole is just lost on us, by the way. Are they yelling at us?). Cabin-wise, all E-Class models now offer a more brilliant thin-film transistor (TFT) LCD onboard display with 3D graphics capabilities. The full-color high-res display measures seven inches, and among the new functions possible with Benz's new COMAND Online service is full internet access. 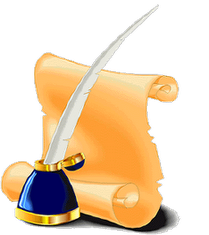 There's a big tie-in with Google Maps, plus Google Local Search, and more features will continue trickling out as 2012 approaches. 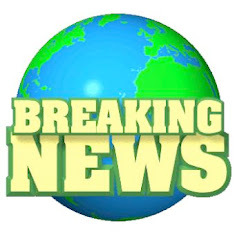 Bluetooth functions have also been augmented to allow full access to mobile address books via the onboard screen, and there is full iPod playlist connectivity and search capability. 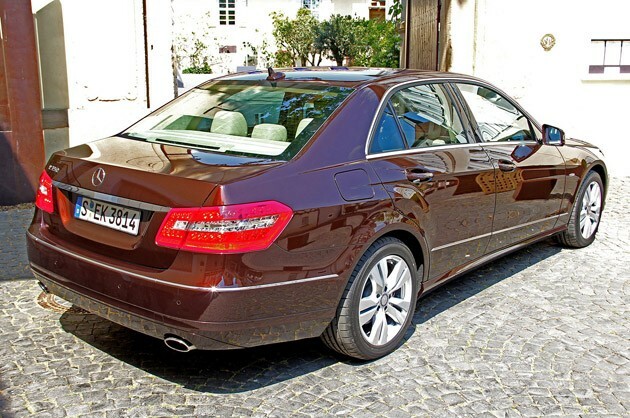 The outgoing E350 starts out at $49,400 in RWD guise, so this newer one ought to easily crack the $50k mark. Similarly, we expect a price bump from the departing rear-drive E550 ($57,100) trim to a bit over $60k for an E550 Sport 4Matic sedan. Don't you worry, though – even if the 2012's sheetmetal doesn't shout about the changes, its worth the extra scratch. If we didn't know any better, we'd swear the E-Class is trying to be a better S-Class.